With the winter Olympics now getting massive media attention, it is perhaps worth pausing to think about that other, non-official Olympic activity – ambush marketing. Indeed a recent threat of litigation by the Canadian Olympic Committee against North Face for ambush marketing is an indicator that the Olympic marketing games are also in full swing. Like many other major sporting events, the Olympics have become heavily dependent on funding raised through sponsorship programs. The International Olympic Committee (IOC), in fact, has a carefully structured sponsorship program called TOP, which manages Olympic marketing opportunities. Sponsors pay substantial sums of money for the rights to use certain Olympic symbols in tightly controlled ways. What a sponsor is paying for is the right to associate their own brand with the brand values of the Olympics. The Olympic logos and symbols, used by the Olympic organizers and licensed for use to sponsors, are protected by trademark or Olympic-related legislation. Any company that uses these marks without permission infringes upon these trademark rights. Ambush marketing is a term used to describe marketing practices which attempt to create an association with a major event without the ambushing company having paid for sponsorship rights. However, what distinguishes it from simple trademark infringement is the fact that ambush marketers generally do not use the trademarks of the event organizers. Instead, ambush marketers create associations through more oblique references to the event itself. The huge amounts of money involved in the organization of major events, and in paying for sponsorships, have led organizations like the IOC to push for legislation to protect specifically against ambush marketing. In fact, it is now no longer possible to succeed in a bid to host the Olympics without a promise to enact anti-ambush marketing legislation. Canada did so for the Vancouver 2010 Olympic Games. Section 4 of the Olympic and Paralympic Marks Act specifically created a “right of association” and two Schedules to the legislation set out lists of common words that might be considered to trigger an illegal association. These words included: gold, silver, bronze, winter, 2010, twenty-ten, Whistler, Vancouver, and Games. Anti-ambush marketing legislation is controversial. Some of this controversy is discussed by Benoit Séguin and me in a recent article on the subject. 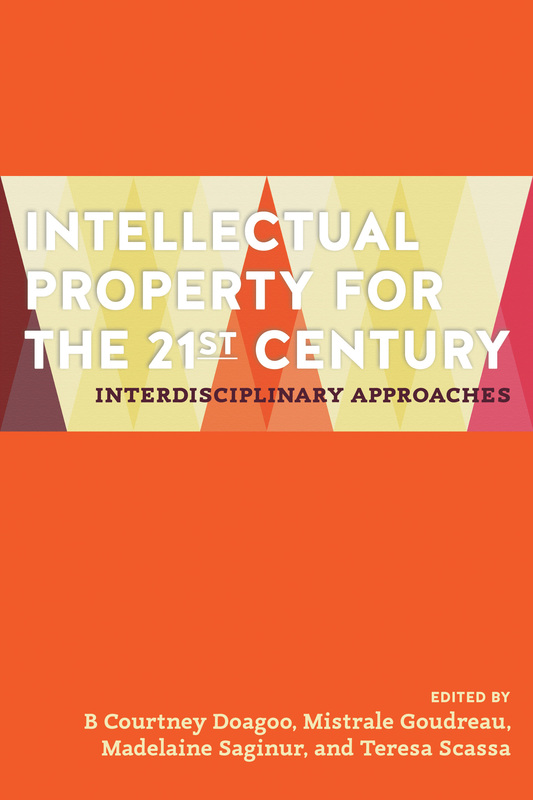 (The article is published in a new book titled Intellectual Property for the 21st Century: Interdisciplinary Approaches). It is not clear, for example, that ambush marketing legislation is truly necessary – beyond serving as a ‘comfort blanket’ for event sponsors. Concerns have also been raised that by attempting to outlaw “associations”, such legislation is unduly broad and vague. It also goes far beyond preventing major competitors of event sponsors from launching ambush marketing campaigns leading up to and during the event. For example, such legislation generally applies equally to all businesses, large or small, even if no one would expect a small local business to be a major event sponsor. Such laws limit the ability of small businesses to make even indirect reference to a major event taking place within their own community. This would seem to be a significant – and rather disproportionate -- limitation on freedom of expression. Further, such legislation privileges event organizers over all other stakeholders. Many athletes or national sporting organizations have their own commercial sponsors – indeed, athletes might be unable to train or compete without such sponsors, and national sporting organizations would not be in a position to develop young talent without commercial sponsorship. Yet when an athlete competes in the Olympics, their own commercial sponsors are limited in the extent to which they can celebrate their sponsored athlete’s achievement without running afoul of anti-ambush marketing laws. In another article, my co-authors and I also raise the issue of whether anti-ambush-marketing legislation might actually allow large corporations to put their legal teams to work to exploit loopholes in the legislation, with the result that major competitors of event sponsors are able to launch challenge-proof ambushes, while ‘associations’ created by small and medium businesses lacking the same resources are suppressed by the law. Part of the problem with anti-ambush marketing laws is that there is a very broad range of conduct that can fall within the ambit of an “association” with an event. Some activity is clearly more problematic than others. In the case of North Face, it would appear that the company launched a new line of red and white, maple leaf flag-emblazoned sportswear in the lead up to the Sochi Games. Although no Olympic logos were used on the clothing, some items apparently featured dates linked to the Games and some promotional materials may have made direct reference to Sochi. The collection was initially called “village wear” and is now referred to as the “international collection”. The characters RU14 also appeared on some items. NorthFace is not, of course, an Olympic sponsor. The matter may never head to court – if it did, it might provide an opportunity for the courts to explore some of the challenging legal questions around the limits of legal protection against ambush marketing. Picture the small university town which holds its convocation ceremonies every spring. Proud parents and siblings, aunts, uncles and grandparents flock to the town to see junior graduate. This is the single biggest annual event in the community, and it creates a boon for local businesses of all kinds, including hotels, restaurants, bars, gift shops, florists, and convenience stores. Many of these local businesses will hang signs or banners in their windows celebrating the graduating class. In doing so, they recognize the importance of the event to the community, and they celebrate a significant occasion in the lives of residents and visitors to the community. Many of the businesses also recognize the important economic benefit brought to the community by the students, and feel it appropriate to signal this appreciation. Graduating students have likely worked as part-time employees in many of these businesses. In some cases, business owners are alumni of the schools, or have children who have attended the school. Of course, it is also true that the businesses recognize that they may benefit financially by tapping into the enthusiasm and pride of visitors to the community. Now picture the university deciding that it “owns” convocation. After all, the event only happens because of the operations of the university. It is a major, recurring event that requires organization and preparation. The University, which is in part publicly funded, has no doubt experienced budget cuts and dislikes raising tuition to meet its needs. It might have a few key private sector donors that it would like to reward and encourage as much as possible. These donors, it reasons, have supported the university, and so should receive some sort of exclusivity when it comes to major university events. The donors think this is a good idea too. So, the university decides that it is entitled to control the goodwill associated with convocation; it wants to prevent local businesses from trading on that goodwill without paying for the right to do so. Alternatively, it might decide that rights to associate commercially with convocation should be available only to a few select corporations – those who are able to pay premium prices for an exclusive opportunity. It decides to take legal action against any company that puts up signs or banners that make any direct or indirect reference to its major event. Does this scenario sound absurd and far-fetched? Perhaps it is an extreme example, but it is clear that we are beginning to head in the direction of recognizing some form of property right in the goodwill associated with major events. And there are good reasons why we should be concerned. We are now only months away from the 2012 summer Olympic Games that will take place in London, England. To call this a major event is an understatement. Along with the fanfare, pomp and ceremony of the Games, we will be bombarded with advertising and merchandising campaigns. These campaigns, for the most part will be engineered by Olympic sponsors – those mega corporations that have shelled out enormous sums of money for the privileges that come with sponsorship. Being a unitary state, these division of powers issues are not shared by Great Britain, and their anti-ambush marketing laws are among the most stringent ever seen. Former British Minister of Sport, Richard Caborn, explained to Parliament that the laws were drafted in extremely broad and open-ended terms because “we must have flexibility in our approach, to allow us to respond appropriately to any changing demands by the IOC – and there will be some – and to enable us to react to any new or innovative ambush marketing techniques that might arise between now and 2012.” (House of Commons Debates (U.K.), 2005). If that makes you feel even a little bit queasy, consider the draft regulations that have just been proposed in the U.K. The regulations give an extraordinarily broad definition of advertising. It includes just about any kind of message placed in any location that is “wholly or partly for the purpose of promotion, advertisement, announcement or direction.” It expressly captures the display of messages on a human or animal body, having a human or animal carry anything on which an advertisement is displayed, wearing advertising attire, or displaying an advertisement on an individual’s body (which includes using body paint). The regulations go so far as to target human and animal bodies because these were among the last uncontrolled communicative spaces left around the Games. You may recall that during the 2010 FIFA World Cup of Soccer in South Africa, a group of Dutch women were arrested and charged with ambush-marketing offences (yes, FIFA now insists on such legislation too) after they attended a football match together wearing unbranded orange dresses that had been supplied by a Dutch brewery. The charges were only dropped after the story received an embarrassing amount of media coverage that made the laws seem rather difficult to justify. It is safe to assume that the Dutch women in orange dresses would not be welcome at the London Games either. We all know that the female body is considered by marketers a powerful advertising medium; what is interesting in this example is that the women themselves were criminalized for being the vehicle by which a banned message was communicated. It is also interesting that instead of letting major corporations and event organizers duke it out in the business arena, these pillars of the free market economy have insisted upon government intervention to silence all possible distracting messaging during substantial periods before, during and after the event. And although the most problematic ambush marketing campaigns are ones that come from major corporate rivals of event sponsors, these are also the players that have the most resources to hire teams of clever lawyers to find the legal loopholes for them. Yet ambush marketing laws are applied to all businesses, large or small, with the result that small local businesses in the communities which host such major events, are allowed only to carry on their normal marketing practices and may not even mention that big event taking place on their doorstep. The mom and pop diner offering gold, silver or bronze breakfast specials during the Olympics is among those least able to respond to or fight the cease and desist letter they would inevitably receive. By creating property-like rights in major events, governments have acted to further shrink the already embattled public domain and have contributed once again to the creeping propertization of just about anything. In this case, the IP-like right is given to event organizers, notwithstanding the fact that a major public event is a multi-stakeholder enterprise. These events do not take place without national and local government involvement, without taxpayer support, without citizens making sacrifices related to local disruptions, without athletes training and preparing for years in advance, and without the support of thousands of local volunteers – to name just a few of the stakeholders. Event organizers are being given rights in something that is not solely theirs, and in doing so, they have the power to shut down the very natural ways in which communities respond and interact to events taking place in their midst. Universities are not next in the queue for protection under this sort of legislation. Expect it to reach all major international sporting events first (look for it again in Canada, for example, when Canada hosts the Pan-Am Games in 2016). Then look for it in relation to major sporting events such as the Stanley Cup or the Superbowl. Once it gets that far, then universities can get into what will likely be a very long line up to claim legally enforceable rights in the public domain. Dana Ellis, Teresa Scassa & Benoit Séguin, “Framing Ambush Marketing as a Legal Issue: An Olympic Perspective”, (2011) 14:3 Sport Management Review 297-308. This paper examines the emerging trend of host countries using legislation to protect the Olympic brand and control ambush marketing. 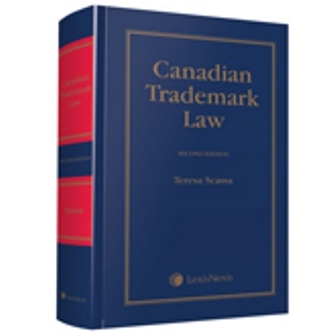 More specifically, it will discuss Canada’s Olympic and Paralympic Marks Act in depth. Issues related to framing ambush marketing as a legal issue as opposed to a business issue are examined. The consequences of placing ambush marketing in a legal context are considered from a legal and business management perspective.